See what's in the stars for you! There are few Instagram accounts that speak directly to our souls with daily insight and often timely Universal words of wisdom. Diego Perez also known as “Yung Pueblo” has one of them. Diego offers beautiful short poems and messages that feel as if they were left behind for you via sticky note by a divine guardian angel. Diego is a thought provoker, wordsmith, and a conduit of such positive energy that just radiates from his work! We are thrilled that he just so happens to have a book coming out later this year. In this interview we will discuss life, spirit, and the power of social media. THW: Hi Diego, Can you tell our readers a bit about the man behind their favorite motivational memes? YP: Well, I currently live in NYC, I am 29 years old, I was originally born in Guayaquil Ecuador. I write under the name Yung Pueblo for two reasons, one because Pueblo is a word used in Guayaquil in reference to the masses of economically impoverished people, so it always reminds me of my roots and where I come from, two Yung Pueblo literally means young people which always reminds me of something that I believe deeply, which is that humanity as a whole is very young, we have a lot of growing up to do, we are collectively still learning how to be kind to one another, how to clean up after ourselves, how to share, and how to not fight one another – things that I am hoping we will learn how to do well in the next 100 years. THW: What inspired you to start writing these extremely powerful messages on instagram? Did you use any other media platforms prior to this? How has this changed your writing style, if at all. YP: I started organizing and being a part of the activist world back when I was 15 years old, ever since then I was always obsessed with the idea of liberation, I wanted to know what it meant, how to attain it, and how to maintain it. From nonprofit organizing to radical organizing, I have worked with a few different groups over the years and often we were successful, but still something was missing, greed continued to drive global harm and internally I was still rife with misery, this made me keep searching. When I was 24 I did my first 10 day Vipassana mediation course which shook the foundations of everything I believed in, my experience meditating showed me that liberation needs to be internally realized to a certain extent before we can recreate the world into a place where we can all live materially well without harming one another to do so; it showed me that everyone needs to be liberated, the oppressed and the oppressors. It taught me three particularly important lessons, one is that when we harm another we harm ourselves, that when we heal ourselves we are actually healing the world, and that the chaos in our world stems from the internal chaos and misery that human beings are quietly experiencing inside of themselves every day. We are all in need of healing and that healing can only come from our own efforts, because no one can liberate us but ourselves. Moving forward I continued meditating and organizing simultaneously, and then one day my intuition clearly told me to share what I understand in the form of writing, that even though what I understand may change overtime I need to share it now so that people know that it is possible to come out of misery and deeply heal themselves, because it is the transformation of the individual that holds the secrets to truly transforming the world into something better. I took a break from organizing to focus on writing and pretty quickly I noticed that Instagram was a good fit. I started off by writing short pieces and essays or just simple thoughts as captions under the pictures I would share, but then I saw that I would be better off just taking the main ideas of what I wanted to share and placing them in a clean and readable image, that’s when it all really took off and the words started spreading widely. My writing style is definitely still evolving. THW: I’ve read that you are currently working on a book, can you share with our readers what it’s about and when we can expect it’s release? YP: The book is entitled “Inward” and it will be a compilation of my best work over the past 3 years. It will be a mixture of poems, quotes, and essays. I’m currently putting it all together and hope to have it out this year, I don’t want to say exactly when, but it will be out soon. It’s been quite a journey putting this together. THW: What books are you currently reading? Can you share a few titles that have inspired/changed your life? YP: I love books so much, thank you for asking, I’m going to go in on this question if you don’t mind. Right now I am currently reading “Sapiens: A Brief History of Humankind” by Yuval Noah Harari and “Demanding the Future: Postcapitalism and a World Without Work” by Nick Srnicek and Alex Williams. I know that’s a lot of titles, but they all really had a deep impact in how I understand myself and the world. YP: Two ideas really drive my inspiration, one is the possibility of complete freedom from misery as an individual and the second is humanity coming together to recreate the world into the beautiful and loving place that it can be. The stories and teachings of Gautama the Buddha and his disciples, teachers in my Vipassana meditation tradition like Ledi Sayadaw, Sayagyi U Ba Khin, and S.N. Goenka, all really inspire me too. My family and friends really inspire me to work hard and be better as well. THW: What do you hope to accomplish with your messages? YP: I hope people understand that they can truly heal themselves of their inner burdens and actually build inner peace, that this isn’t something mythical or impossible, that this is real and that many people are doing it all around the world right now using different healing techniques. It is not easy, but it is definitely the most rewarding journey that we can embark on. More so, I want to help people understand that growing their happiness, building their inner peace, and reclaiming their power are all essential things that not only heal humanity as a whole, but will ultimately help us establish a more peaceful and harmless world. Your inner peace will literally become the foundation for a future global peace. Healing ourselves will not only help us live with less misery, but it will give us a new clarity that we can use to transform the world. THW: Social media can be a pretty awful place when it comes to plagiarism for writers, especially when sharing your meme-style motivational messages.. How do you tolerate seeing your work copied or stolen and not credited? YP: It’s a great lesson, I do my best to not worry about it. If I’m too attached to it, it will just continue happening. Some people definitely take my name out from under pieces and then post them on their pages, but what good will it do me to be upset over it? Plus, I doubt that most people have any malicious intention when they do it. Gratefully, the vast majority do give me credit for the work I put out by linking my Instagram page underneath in the caption and tagging me in the picture, I certainly appreciate that. What matters most is that the message gets out there. If you really think about it, “I” doesn’t exist, so is it really “my” work? Often, when I write, it more so feels like the message is coming through me as opposed to from me. I think plagiarism and copyright laws are a bit odd, no one has ever created anything completely by themselves, we are always building on each other’s work, it is all really a collective effort. Also, since words are just interpretations of how we feel, two people can write similar words but the feeling, meaning, and experience behind them can be completely different. I’m not saying that we should all go and plagiarize, we should try our best to create our own work and credit each other, but if it does happen accidentally we shouldn’t lose our peace over it. THW: What are some of words of wisdom that you would share with our readers on how to cultivate more mindfulness in their daily lives? YP: Mindfulness is essentially being aware of the present moment, which is critically important in for our personal development. But what matters is how will you be aware of the present moment, what tool will you use to increase your awareness? My advice to people is to find a healing technique that gives you real results, one that challenges you, but does not overwhelm you. There is a great variety of techniques out there, different types of meditations, yoga practices, energy healing techniques, and so much more that can really give us tangible benefits in our lives. What matters is that we find one that suits us and that we use it consistently. THW: Do you have any other projects that you’re currently working on that you’d like to share with our readers? YP: I’m planning an event in Los Angeles this summer, which I’m really excited about, the details will be set soon. I will be reading a piece of my manuscript and giving a talk about the patterns in our subconscious that impact our behavior. I did a similar event this past March in NYC at the Alchemist’s Kitchen, so many people came out that we filled the venue, it was really a great time. I’m currently working on a video with one of the best directors and videographers in NYC, Lindsey TJ Hall, you can find him on Instagram under @guynamedlindsey. We knew that the message was getting out to people who read, but we wanted to make something new to try and reach people who are more musically and visually inclined. The video will be about self love and its growth into unconditional love, it should be out sometime this summer. 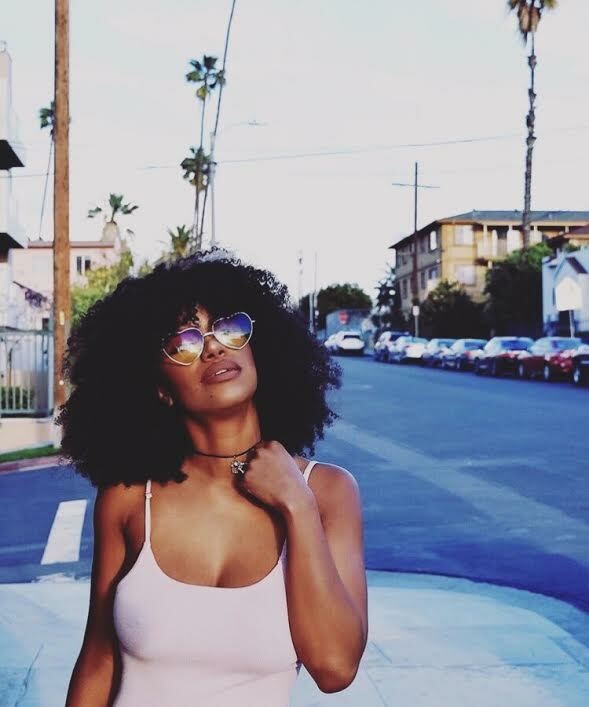 Meet Our Featured Goddess Of The Week: Tiara Kelly !